America’s World Traveler AIRSTREAM, Patrick R. Foster, Quarto Publishing Group, USA, Inc.
Book available at QuartoKnows.com and anywhere fine books are sold. 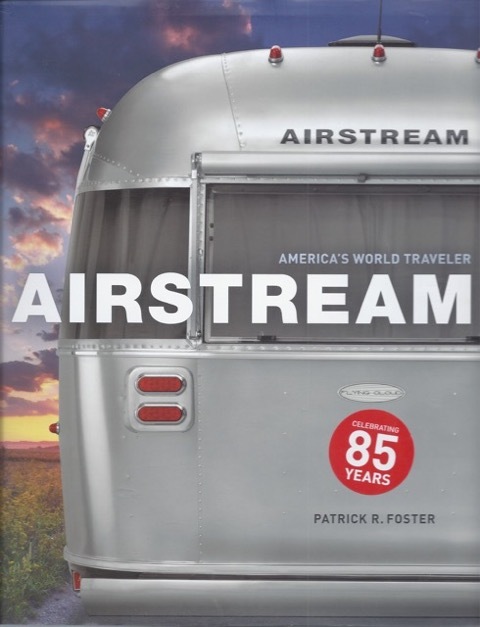 Before you begin to read this, you need to know that, yes — overall, I would recommend this book to those that already own or are interested in vintage or newer Airstreams. 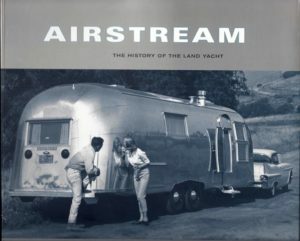 It’s a possibility that I’m going to purchase the book as a gift to friends who have just purchased a new Airstream trailer, and I’d like them to be able to appreciate the history behind their trailer. You can go online, reference other books and magazine articles, and find most of the Airstream pictures or history facts piecemeal; but this book puts it all together in one place. Mr. Foster, the author, was given access to company archives. Perhaps he was effected and beholden to discuss the corporates ups and downs of the company leadership as much as he does throughout although it is an influencing part of the company’s history; but almost all other pictures and stories have been seen before in other publications. The author, Patrick R. Foster, is a respected award winning automotive journalist of 20 books and is a regular columnist for Old Cars Weekly and Hemmings Classic Car. It’s the Rolls Royce of travel trailers, the premiere, the finest, numero uno — in other words, the best there is. And, like Rolls Royce, it’s elegant, luxurious, stylish, and mature. Unlike the Rolls, however, it’s an American icon, as patriotic as the flag and as American as its Midwestern home. It’s instantly recognizable around the world, eternally beloved wherever it goes. Of course, we’re talking about the Airstream travel trailer, the undisputed King of the road. I am a vintage travel trailer enthusiast who loves and respects all vintage trailers and believes this introduction is a bit overblown. The length of Airstream history, though, is exceptional. Obviously, I’m not much of a writer— as you’ve probably ascertained by now — but jumped at the opportunity to get an advanced copy of this book and to share it with other trailerites. Airstream lovers and owners — some swear by them and others swear at them. I’ve done both — we’ve enjoyed possession of a 1964 Airstream Overlander which we never used or restored and sold, a 2006 75th Anniversary Bambi Safari which we purchased new but have also since sold, and are now in the process of restoring a wooden 1936 Airstream Silver Cloud which is an adventure in itself. Airstream is iconic; sometimes an annoying one. Even when we are in our brightly painted vintage, metal trailer folks always refer to it as an Airstream. The term Airstream, though specific, is nowadays applied to any metal trailer by those who are not connected to our vintage trailers — by the general public — just like the older folks among us who still refer to generic tissue as Kleenex even though we know there are many different brands. This common, mistaken trailer misidentification does make me smile, but annoys me at the same time . . . However, I most often just peruse/skim pages in historical “coffee table” books but found myself actually reading each and every word, page and photo caption. There are many, many pictures, — both old and new — displaying comparisons and contrasts over the years of production showing — “amazing similarities . . . continuity of design themes”. Many photos of the trailers are not clearly identified by date but by the vehicle(s) in the photo. The book is an interesting and readable compilation of Wally Byam’s life, the Airstream travel trailer manufacturing history and subsequent Airstream corporate leaders and its workers — including the product hits and misses along the way which I found interesting and enjoyed reading about . . .
-confident in his own abilities. Personally, I would have liked some areas expanded but maybe no archive data is even available; and, when you write a book, choices have to be made due to length and publisher’s expectations — maybe because they [the first trailers] were not originally the “shiny aluminum trailers for which he [Wally] would make famous” or maybe the Airstream archives do not have a lot of information on the masonite, wooden trailers or the author chose not to expand on those earlier trailers and I was hoping for some new information [absolute bias on my part is acknowledged]. Most of Wally’s early 1930s trailers were home built by others from plans with instructions. He started factory-manufacturing the wood trailers in 1936. His first factory offering was the Torpedo — it also could be purchased as a plywood kit. He came to appreciate English caravans and found ways to incorporate their features [thus the wooden Airstream Silver Cloud]. He made the big switch to aluminum when the Bowlus company went bankrupt; and he bought the tooling and, inventory and rights to design. [Note of interest: the Bowlus trailer has been reintroduced and is presently being independently produced and customized in Oxnard, California, under the Bowlus name. There is some disagreement regarding the description of what was specifically purchased in that early auction]. One thing I liked about Wally is he personally used his trailers and found problems and defects that he could actually remedy. The Airstream Company records its history back to 1931 when the first labeled Airstream brand was introduced [travel trailer history begins before that date, of course]. 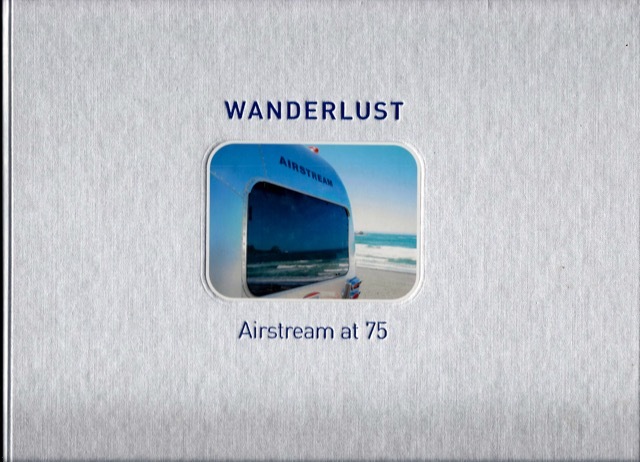 The Airstream provided travelers with a way to see the world at their leisure and in solid comfort. The trailers were generally priced higher than the competition — after all, high quality aluminum monocoque construction was a more expensive process than screwing together wooden two-by-fours and Masonite — but most buyers could readily appreciate the difference. [As Wally would say], “Conversation is cheap and Airstream is not.” He knew he had the superior product.
. . . He was a trailer man. an outdoorsman, a traveler, an adventurer — one could even say a gypsy. He was not an automobile man. He was born to be a wanderer. What does the future hold for Airstream? What direction will Thor Industries take? For example, It has been acknowledged that there seems to be a lot of nostalgia for the Airstream motorhome. Customer demand may lead the way in deciding this issue as it does for many products.. . .
Don’t stop. Keep right on going . . . Hitch up your trailer . . . Go someplace you’ve heard about, where you can fish or hunt or collect rocks or just look up at the sky. Find out what’s at the end of some country road. Go see what’s over the next hill, and the one after that, and the one after that. Banham, Russ. WANDERLUST Airstream at 75, Greenwich Publishing Group, Inc., Old Saybrook, Connecticut, June 2005.